The BP Oil Spill Disaster and the Future of Energy in America,William R. Freudenburg and Robert Gramling, MIT Press. On April 20, 2010, the Deepwater Horizon oil rig exploded in the Gulf of Mexico, killing 11 crew members and seriously injuring 17 others, this despite a blowout preventer that was officially labeled fail-safe just a week before. Two days later the burning rig collapsed and sank (on the 40th anniversary of Earth Day, no less). Ultimately, the months-long eruption from British Petroleum’s Macondo well would become the largest peacetime offshore oil spill in history, surpassing the massive Ixtoc I incident (1979), which occurred off the coast of Mexico. In “Blowout in the Gulf,” coauthors William R. Freudenburg and Robert Gramling place the Deepwater Horizon accident in historical, political, and economic context, and impart the lessons that can be learned from the disaster. To be sure, Deepwater Horizon was a technological marvel. Seven months before the fateful explosion it set a record for deep water drilling, completing a well nearly six miles deep. Yet the management and the regulation of the technology may indeed have been third-rate, or even worse, assert Freudenburg and Gramling, the former a professor of environmental studies at the University of California (Santa Barbara), the latter a professor of sociology at the University of Louisiana (Lafayette). In fact, between mid-2007 and early 2010, BP single-handedly accounted for [862 or] nearly half of all Occupational Safety and Health Administration (OSHA) safety citations to the entire refining industry, note the authors, the next-closest refiners—Sonoco and ConocoPhillips—earning 127 and 118, respectively. Worse, BP received 69 citations for willful violations, defined as those including intentional disregard for employee safety and health—triple the number for all of the rest of the companies in the refining industry combined. For industry insiders, the self-evident failure of the cleanup effort was no surprise either. (BPs Oil Spill Response Plan is described in “Blowout” as pure fantasy.) Never mind the fact that the technology available to clean up large marine oil spills has not advanced in decades. This explains why the authors argue that our emphasis should be on using less oil, as opposed to enthusiastically engaging in more high-risk drilling. But while the Deepwater Horizon tragedy provides a chance to take a closer, more clear-eyed look at our [energy] policies, the authors don’t sound particularly optimistic about the possibility of a change in course. Worse, their overarching conclusion is particularly ominous: Not just in the Gulf of Mexico, but across our technology more broadly, our capacity to do damage, both to ourselves and our environment, may well have risen faster than out capacity to undo the damage. 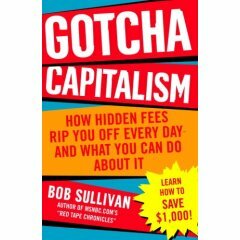 Gotcha Capitalism—How Hidden Fees Rip You Off Every Day, Bob Sullivan, Ballantine. Berlin at War—By Roger Moorhouse, Basic Books.